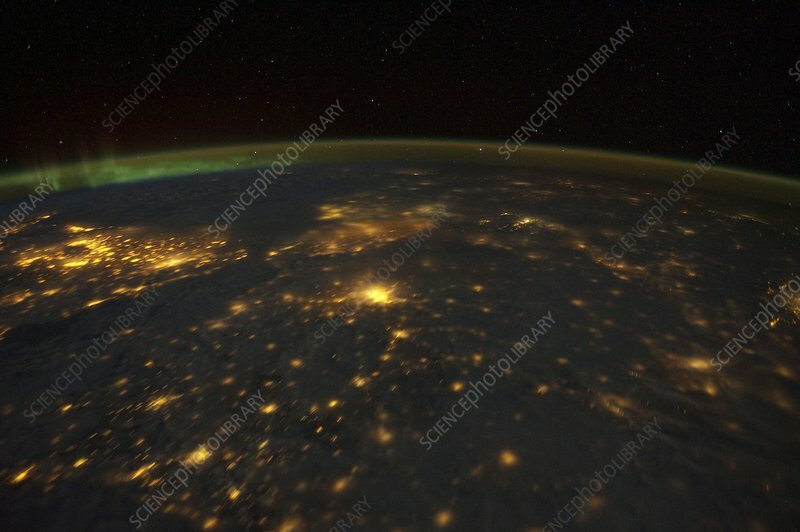 UK and France at night from space, as seen from the International Space Station (ISS). City lights (yellow) show areas of dense population. France covers most of the image with Paris (middle centre). UK can be seen on the far left. Image taken 4th December 2011.